Adns's massive 240 million record database complete with email address, name, gender and full postal address enables the most comprehensive zip code radius targeting possible! ZIP code radius targeting allows you to select people that are nearest to your business. By only targeting people close enough to become your customer, you can be sure every advertising dollar is well spent. The Adns database provides the most email addresses in any specific area. Because of the finite audience available to local area advertising market penetration becomes extremely important. Our World Class Email Delivery system along with our White List status with major ISP’s enables us to deliver your message to the most people in your area. People respond positively to email ads relevant to their city or neighborhood. They enjoy receiving offers and information they can take advantage of locally. Subject lines referencing their hometown advertising products and services always attract interest and are viewed as valuable. By targeting your local area we are able to drive foot traffic to your retail locations. Just like direct mail except it is Inexpensive, Highly trackable, Customizable and Fast to production allowing you to see a High Return on Investment. Newspaper, Radio & Direct Mail are reaching less people and charging more money. With Adns we offer the affordable alternative. 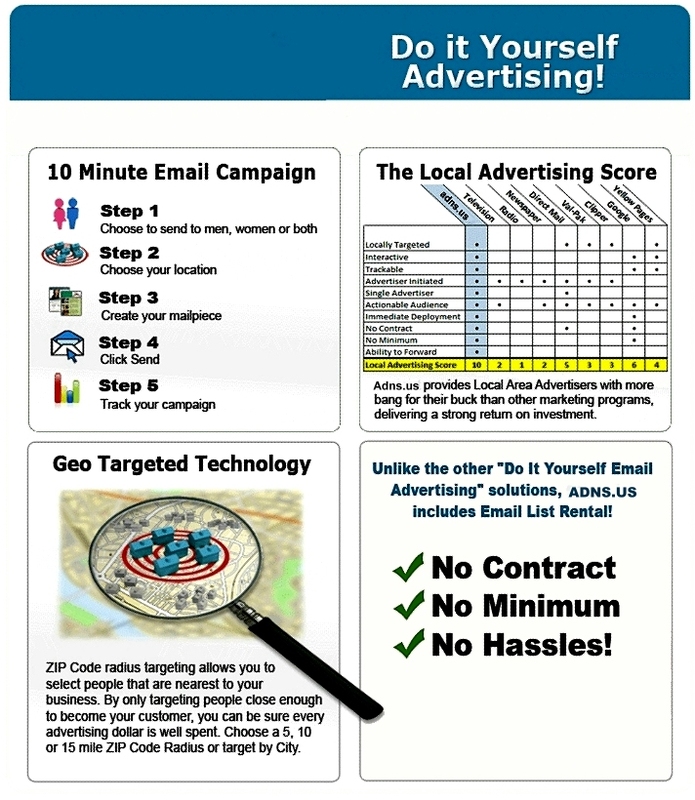 For just 5¢ per email, you can market to thousands of consumers in your local area market. Simply buy an eStamp for each email you want to send and Adns will deliver your mail. No List? No Website? No Problem! 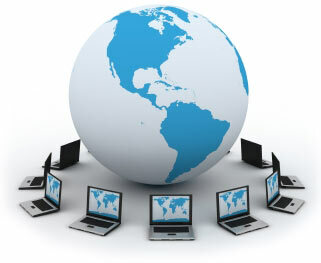 ADNS provides affordable dial up internet isp access, service providers, providers, cheap INTERNET, low cost isp, ISPs, free internet, free e-mail, online service, reliable connections, reliable internet, dial-up access, broadband, high-speed internet, DSL, high-speed connection, cable, instant messaging, low cost isp, high-speed internet, reliable connections , low cost isp, national dial up internet access and is an ISP for National.